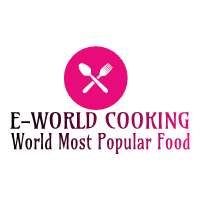 Hot Bean Dip Recipe ~ E-World Cooking-The World Most Popular Food. In a large bowl, combine the first six ingredients like Refried beans-1 can (16 ounces), Cream cheese-1 package (8 ounces), Green chilies (chopped)-1 can (4 ounces), Fresh sour cream-1 cup, Taco seasoning-3 tablespoons & 3/4 cup salsa. Transfer to a greased shallow 2-qt. baking this dish. Sprinkle with onions. For Hot Bean Dip, Bake it open or uncovered, at 350° C for 25t o 30 minutes or till heated through. Serve with tortilla chips. 1. For the garnish, you may also use 4 Roma tomatoes, seeded and diced(it’s totally optional). 2. Aluminum foil helps keep food wet, ensures it cooks equally, keeps leftovers contemporary, and makes clean-up simple.